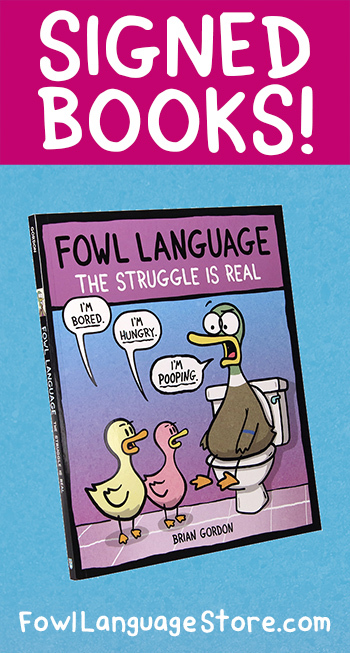 This is the first Fowl Language comic I can't relate to. I'm the one teaching my son how to find the Ocean Monuments in Minecraft! I've had this non-conversation a dozen times, at least.